800mm SINGLE NUT MACHINED BALLSCREW 2505 (25mm dia/5mm pitch) [2505-800MSN] - $159.95 : CNC Shop, One Stop Shop for CNC Products! 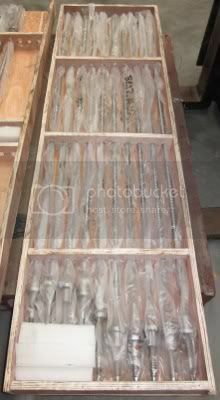 You are looking at a machined 800mm long (894mm total length including machined ends), 25mm diameter ballscrew. The large 25mm diameter reduces flex so the ballscrew is not inclined to "whip" at higher speeds. You will need to match these with the BK20/BF20 ballscrew supports. 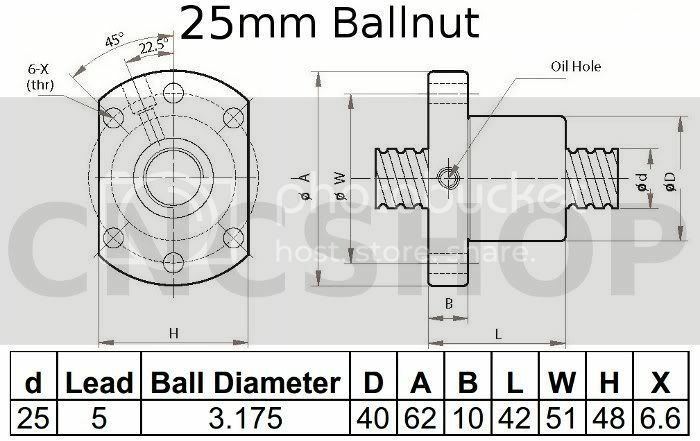 No need to work out the machining specifications as these ballscrews have been machined to perfectly match our range of 25mm ballscrew supports (BK20/BF20). The driven end has been machined to 15.875mm (5/8 inch) to match the shafts of larger stepper motors or pulleys. 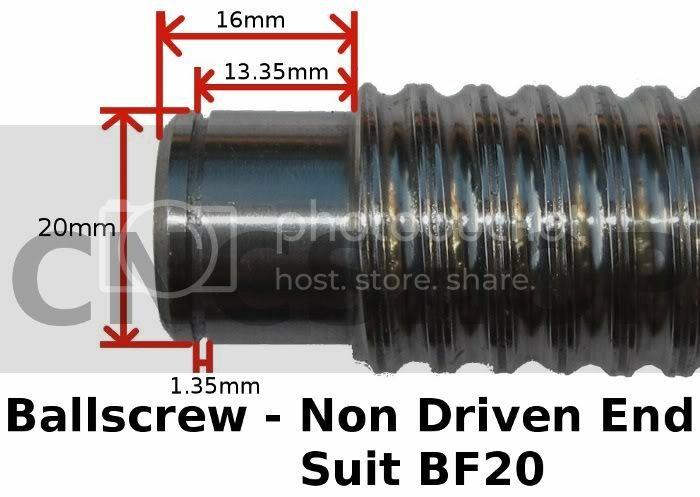 We also have ballscrews in 16mm, 20mm, 32mm and a massive 40mm!